PASCHALCAzT 47 2018 – Easter Sunday: VICTORY! Today is Easter Sunday. The Roman Station was St. John Lateran for the Vigil, which traditionally ought to start at Midnight, and St. Mary Major for the Mass during the day. 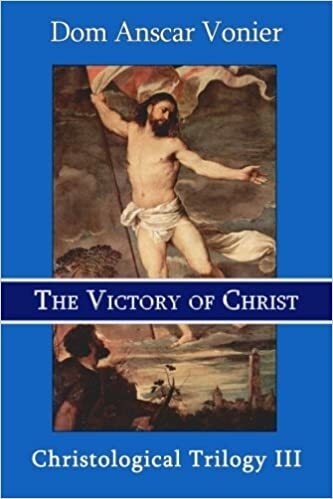 Today the great Anscar Vonier teaches us from the 3rd volume of his trilogy, The Victory of Christ about the centrality of the resurrection for everything else we believe. Then, you get an extended bit of music from my home parish‘s choir. There’s absolutely nothing humble about it. As a matter of fact, it oozes triumphalism. Amidst the voices of the bass section is heard also my own. And people wonder why I am hardly ever satisfied with music in church! HAH! This entry was posted in SESSIUNCULA and tagged Anscar Vonier, LENTCAzT, PASCHALCAzT, Pietro Yon, podcast, PODCAzT. Bookmark the permalink. 5 Responses to PASCHALCAzT 47 2018 – Easter Sunday: VICTORY! A blessed and joyous Easter to you, Father Z., and all here at your splendid BLOG. Many thanks for playing the excerpt from Yon’s Victimae paschali laudes; it is a wonderful work indeed which I have not sung in a very long time. Fröhe Ostern from Austria! That music brought joy to my soul. “…my home parish… ” St. Agnes? Our nephew was married there on your last birthday (which also happened to be his mother’s birthday)! Beautiful church! Of course, the choir was not present, but they did have solists (and strings, I believe), who also sang beautifully! Outstanding triumphal text and music. He is Risen!